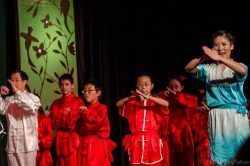 Rose Wang Martial Arts is the leading provider of traditional, authentic Chinese martial arts instruction in the Chandler area. Our business is founded by acclaimed international expert, Master Rose Wang. We offer beginner to advanced level classes in martial arts, wushu, tai chi, martial arts weapons and more. When you invest time and effort into martial arts classes, you want to feel confident that you’re learning from the best. At Rose Wang Martial Arts, you can rest assured that your classes are carefully designed and instructed by the premier provider of traditional Chinese martial arts in Chandler, AZ. Rose Wang Martial Arts is owned by Master Rose Wang, who began her training in traditional martial arts at age seven in China. Throughout her career, she has become an acclaimed international martial arts expert and has won competitions at the national championship level. In recent years, her U.S. team has competed at the national level, and has won numerous significant awards. Master Rose Wang is an accomplished instructor who has performed at the national championship level. Our studio offers classes for beginner, intermediate and advanced students. Master Rose Wang has led her U.S. team to national competitions and award-winning successes. We offer a diverse range of classes in martial arts, martial arts weapons, tai chi, wushu, performance and more. We provide each student with exceptional and individualized instruction in traditional martial arts. Providing authentic, traditional Chinese Martial Arts to Chandler, AZ, Chandler, AZ and Queen Creek, AZ.